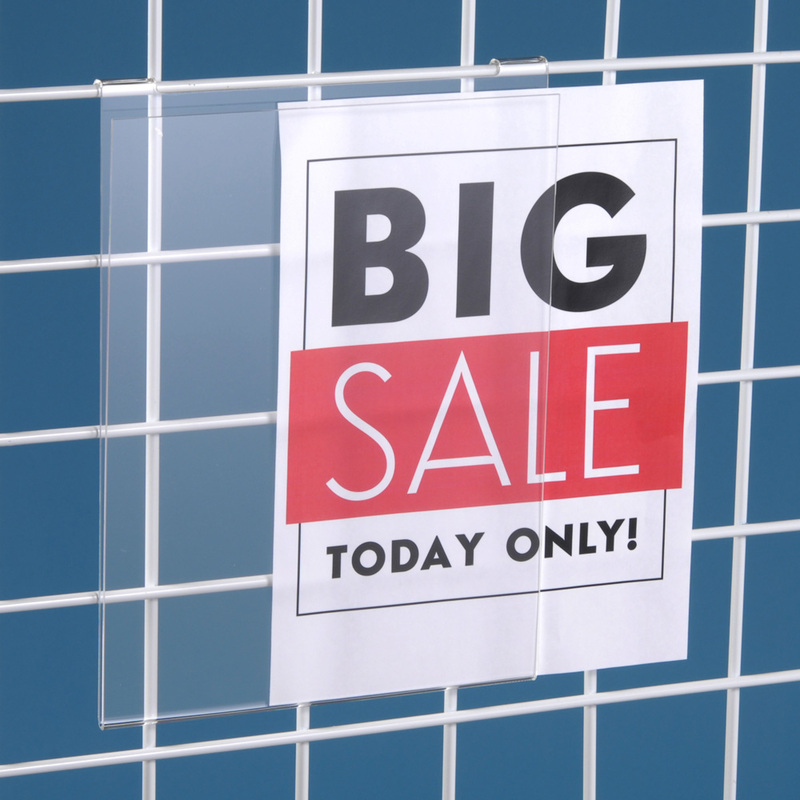 This acrylic sign holders attach to grid so you are able to display your signage. 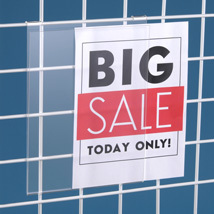 Opens at the top so you are able to slide your signs into the sign holder. Available in a variety of sizes.